I dreamed this design up the other morning...literally. 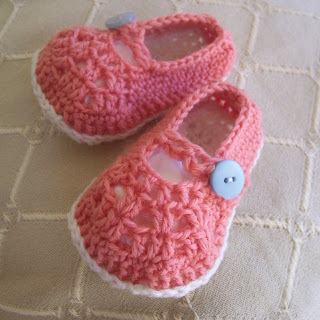 I had a dream that I was looking at some crocheted baby shoes and woke up thinking, 'What cute shoes! Too bad their not my design! '...and then realized..."Wait, they are!" 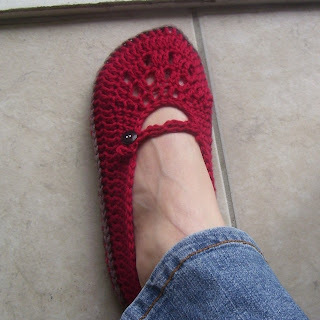 :) The design is so simple and basic, I've called them my "crochet basics" mary janes.